From Good Smile Company. The traveling frog is being transformed into figures! 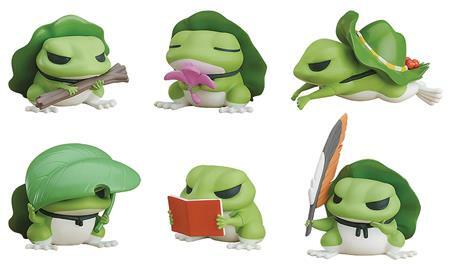 From the popular smartphone game Tabi Kaeru comes a set of collectible figures based on the traveling frog from the game! The figures capture the appearance of the adorable frog in the travel pictures that are sent home to the player. The line-up includes six figures to collect showing the frog in different poses and situations. Be sure to add them all to your collection, and have fun taking pictures with the frog on your own travels!